Great article. They were certainly brave and resourceful those frontier women, I guess they had to be or they wouldn't have survived. We have a similar history here in Australia, where women joined their husbands on long treks, across harsh inhospitable terrain to make their homes hundred of miles from civilization. Hi, Eliza. Once again, thanks for having me today. Yes, Margaret, the men and women of the 17th, 18th and 189th centuries certainly were brave and resourceful. If we were transported back in time, I think most of us would be lost. Well-written post, Anna Kathryn! Isn't it amazing that they lived in such a small house and today we feel like we need huge houses to live in? What riveting history, Anna Kathryn. Reading about the lives of our admirable forebears is as close as I'd care to get to enduring the incredible hardships they did. I'm sure they're smiling down on you for keeping their stories alive. I love to read these historical blogs. Just imagine yourself cooking over a hearth. Driving a wagon. These women had character and we could all learn from them. No TV, no microwave, no air conditioning. Ahhh, shoot me! Don't you love diaries of the Old West? LOL, I have the book you mentioned about Belknap. I followed a diary about traveling West for one of my historical westerns. It was amazing to read about what they went through and all the sacrifices these people made just to reach the Pacific Coast. I always love your articles about the Old West. They're so informative. Hey, Anna Kathryn -- I'm a huge fan. I did enormous amounts of research for my historical, All or Nothing (set in 1876). I was entranced not only by the travel, but making of clothes, but the washing of them! And making soap! and the cost of sundry items and what exactly happens to butter over time... and so many other things we take for granted. Well done. You must be so proud of your story. can't wait to read the wagon train book when you get to it! Interesting stuff, Anna. It's so much fun to learn all these little details of a life so different from ours. Hello, everyone. Great comments. One book I've read about a wagon train that was well researchyed was Janelle Taylor's Midnight Secrets. 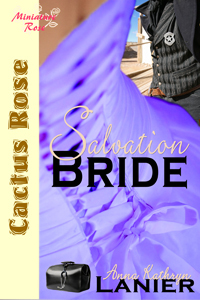 The hero and heroine travel from Georgia to Texas after the Civil War. Good stuff there. When you stop to think about all the women and men had to do to put food on the table and clothes on their backs, it's amazing. And we think our lives are busy now! Also, something I was told while touring a house one time....their clothing cost more than the house did, because the house materials were mostly free. Thanks for the great blog on this family. It really makes you wonder how they survived the winters. And to think that some folks traveled with only a hand cart. Those were determined people back then. Some of my ancestors made the trek from Ohio to Iowa in the early 1840s in the winter as well. Boggles the mind. Great food for writing. Thanks! Great info, Anna Kathryn! I love to read first person accounts to get a real feel of what my historical characters would have to know and live through. Makes me feel wimpy knowing what our ancestors had to deal with just to survive. Great information, Anna Kathryn. I did a lot of research on wagon train travel and found it all so interesting at how strong and brave they had to be to survive. Fascinating stuff Anna! Thank you so much for being here with us!! !